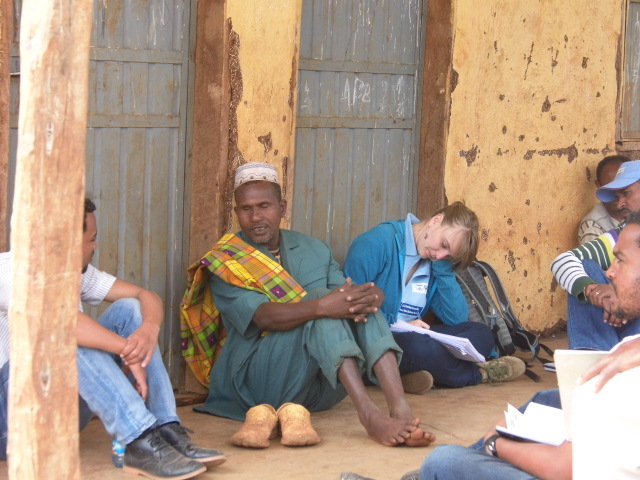 REAAP, the Resilience through Enhanced Adaptation, Action-learning and Partnership Activity, is hoping to build resilience in Ethiopian communities during hard times. The 3-year project, funded by the U.S. Agency for International Development, works with communities to put action plans that decrease the risk of climate-related disaster into place. REAAP is also changing community perceptions. Gender beliefs are being challenged and people with disabilities are being included in activities. This shift has not only expanded community participation, but has transformed lives. Yusuf Hassen Abdule was 7 years old when his sight started to deteriorate. He had hurt his eyes while playing with friends. Even though his father took him to the hospital in a nearby town, the medical staff said his case was beyond their capacity. They referred him to Addis Ababa to get treatment. At the age of 15, he lost sight in both of his eyes because his father could not afford the treatment in Addis Ababa. From that time on, Yusuf depended on others for his survival. He lived with his married siblings, he had no access to education and did not have full ownership of his inherited half hectare of land. “I lived in complete darkness. No one cared for me, and I faced stigma and discrimination from every side,” Yusuf says. But something incredible happened when Yusuf turned 40. He married Asha Abdulahi. Although her family was against the marriage, she went through with it in the hopes that they could use Yusuf’s land to build their life. 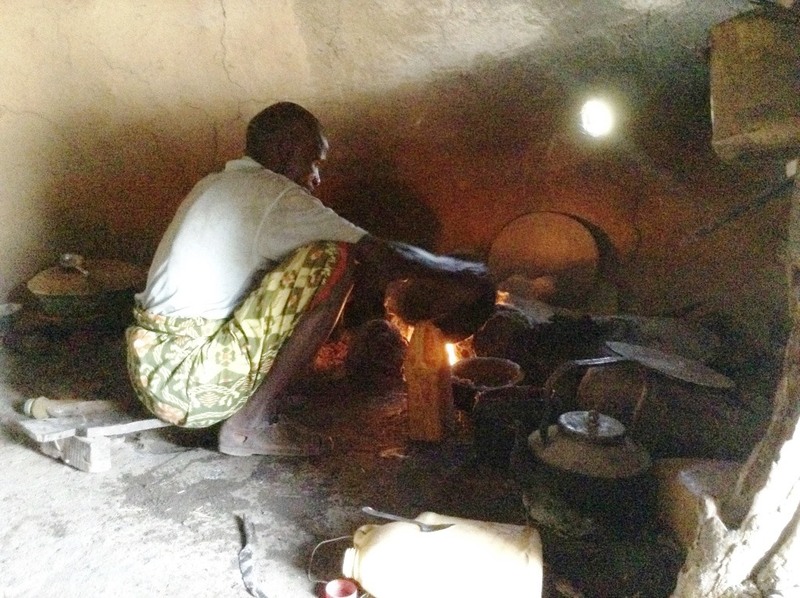 Yusuf’s livelihood depended on farming for himself and his family. “I didn’t spend all the money on day-to-day consumption. I purchased vegetable and maize seeds. I cultivated them on my small farm. I sustained my life like this. I didn’t want to be dependent on others all the time,” says Yusuf. 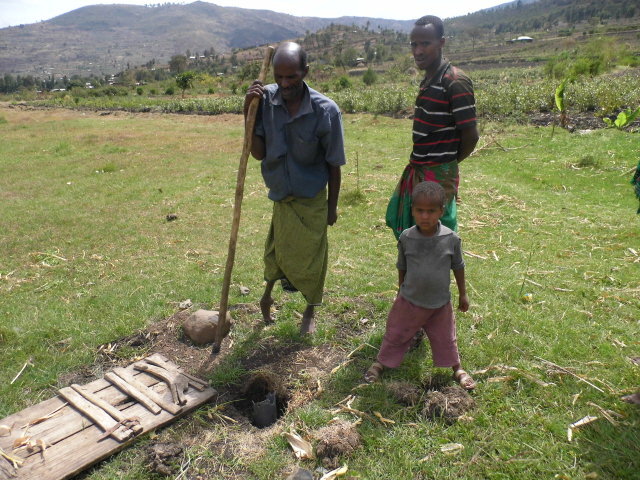 Yusuf became involved in REAAP in Odabiyo village. He says he actively participates in his community’s action plan and in follow-up meetings. Now at age 56, with a wife and four children, Yusuf says he feels supported, accepted and respected. He says REAAP has given that to him. “I have seen the benefits so far both for me and for the community. I am happy for that, but I will work more, ask more and push more to get the best out of the project before it ends,” Yusuf says. Abdi Mohamed agrees with Yusuf. Abdi suffers from polio. Last year, someone invited him to a REAAP meeting, where he learned of opportunities for people with disabilities. He was given crutches and received training on how to use them properly. 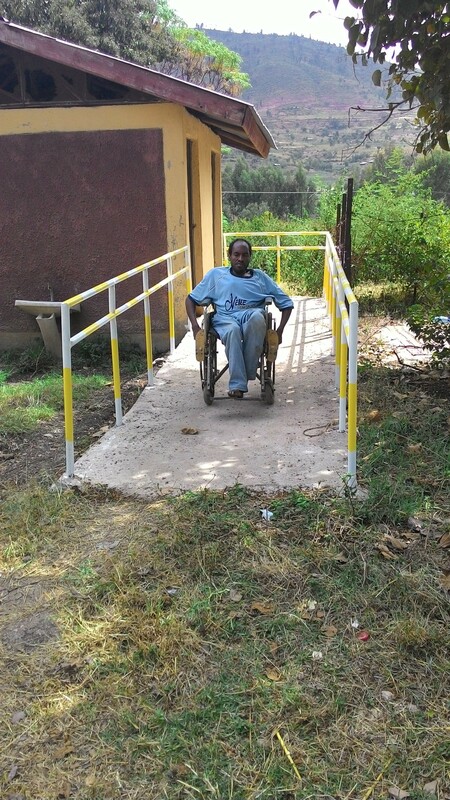 Abdi’s mobility improved and he started participating in social activities. Abdi also says he has benefitted from natural resource management. He says soil conservation measures will reduce the risk of his farmland getting flooded. He also has planted fruit trees as part of nutrition and regreening interventions. “Let us use the opportunities REAAP provides and put our capacities to good use. Since REAPP, a blind person can now participate in chicken, sheep and goat rearing activities. Without REAAP, we would have been left dependent and ignored,” Abdi says. Slowly but surely Abdi and Yusuf are noticing changes in their communities. Handicapped ramps have been installed at some government offices. Attitudes are also shifting. People with disabilities are being considered during staff recruitment and during job creation. Like Abdi, Yusuf sees great opportunity for his future. He has a message for others with disabilities: think outside of the box, be involved and become independent. On a typical day, Ahmed helps his wife with daily chores like fetching water, collecting wood and caring for their family. And he’s not alone. “If you come in the morning, you can see a lot of men fetching water,” Ahmed says. Ahmed, who lives in Mieso district and serves as the chairperson of his community, grew up learning men and women’s traditional roles. For women, this meant running the household, fetching water and cooking. Men did not help out in what they considered women’s work. This all changed when Catholic Relief Services did a gender analysis in early 2015 as part of the REAAP activity. REAAP aims to create stronger families by helping them become economically secure, be able to buy food, pay for education and better withstand the effects of climate change, drought and food shortages. But REAAP doesn’t stop there. Strengthening families and their resilience also means addressing long-standing gender inequalities and violence against women. In Mieso district, the analysis revealed that, on average, women spend 13 to 17 hours on domestic tasks. That means women also had less time to sleep or take care of themselves. A year later, a lot has changed. Thanks to the REAAP gender analysis, Ahmed can now raise awareness of this issue and help others change their attitudes toward the traditional roles men and women have held for so long.